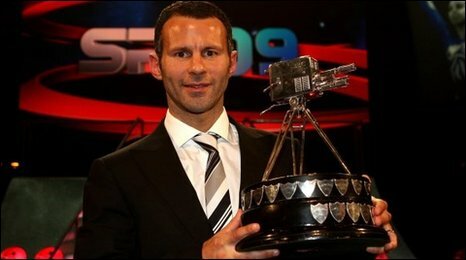 Show Racism the Red Card are delighted that Ryan Giggs, long term supporter of the Campaign and Hall of Fame member is awarded Sports Personality of the Year. Show Racism the Red Card extend our congratulations to Ryan Giggs after he was announced as the BBC's Sports Personality of the Year 2009. "I am in total shock to win this award and tremendously proud". Ryan Giggs has been a valued supporter of Show Racism the Red Card's Campaign. He appeared in the 1997, 2000 and 2008 versions of SRtRC’s anti-racist educational film. In April 2008 his work with SRtRC was the front page article of The Big Issue. Ryan has further assisted the campaign by generously meeting SRtRC prize-winners at MUFC’s training ground and the Welsh National training ground. He was interviewed by 2008's Creative Competion winner Amber Gavin.